Gravity Falls-Season 2: STAN'S TWIN THEORY CORRECT!?! + JOURNAL AUTHOR REVEALED!!! Gravity Falls is a popular Disney show and was based on the camping trips Alex Hirsch would have as a kid with his sister (inspired dipper's twin sister, Mabel) and great grandfather (inspired Grunkle Stan). He stated in a an interview about the Season 2 mid-finale "Not What He Seems" with AV Club, "When I was 12 years old, I was obsessed with codes, conspiracies, and secret messages. I would record TV commercials with SoundRecorder.exe on Windows 95 and reverse them to see if I was being subliminally influenced to watch Pokémon by Japanese spies. (It turns out I wasn't. Or was I?) My goal with Gravity Falls is to make people as paranoid and insane as I was as a child, and I’m delighted to see it’s working! Haha. Gravity Falls has transformed the children of America into an army of Dippers. I couldn't be more proud!" At first glance, Gravity Falls may seem like a normal cartoon series, but in there are tons of mysteries to be solved. Who wrote the Journals? Can Stan be trusted?... and a few more of its biggest mysteries have been solved in the episode "Not What He Seems". While, Dipper and Mabel still hadn't cracked the case, the internet was already ahead off them. 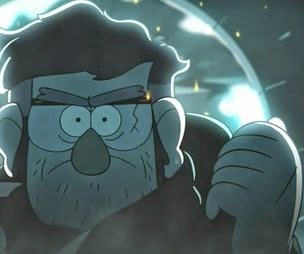 Of the most popular theories, the "Stan's Secret Twin" theory was the most common. Most people seemed to agree with it. Read on if you are dying to know what it is! Standoeshaveatwinandthetwinactuallywrotethejournals! Sorry, was that too quiet and fast for you? Okay, I'll say it a bit louder: STAN DOES HAVE A TWIN AND THE TWIN WROTE THE JOURNALS! [wheeze, pant] Sorry, got a bit too excited there. I'm just relieved too have finally got it out. I won't go over too much how this was hinted but some of the clues to this secret are his car's licence saying STNLYMBL, short for Stanley mobile, when is name is actually Stanford. Also, the hand on the book has six fingers and so does his twin. 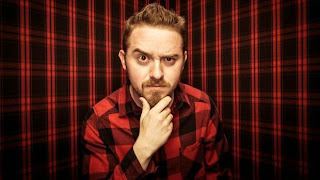 And as it turns out Alex Hirsch has actually stated that "Stan having a secret twin was mostly the plan from the beginning and the mystery has only started". Be sure to subscribe, stay tuned, and remember: REALITY IS AN ILLUSION, LIFE IS JUST A HOLOGRAM. BUY GOLD. BYE!